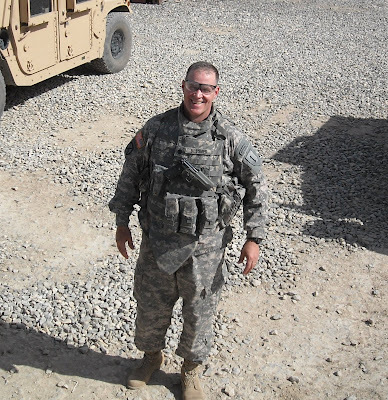 Andy Bessmer writes from Afghanistan! Thought I would send a quick note to let you know that all is well in this part of the world. I have been working at the Kabul Military Training Center on the outskirts of Kabul. My team is responsible for assisting the Afghan National Army in training new soldiers for their army. We have about 6000 recruits in training at any one time here and at five other locations across the country. I am about half way through my deployment and look forward to getting back to Spokane. Take care and be safe. THANKS ANDY FOR KEEPING US POSTED AND STAY SAFE!!! 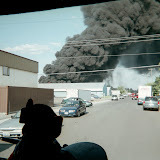 NARRATIVE: The Spokane City Fire Dept. was dispatched to 4312 W Arrowhead Road at 2:23 in the morning on Tuesday, May, 6th, for a reported structure fire at that address. The first fire crew on scene reported heavy smoke issuing from the eaves of a 2 story wood/frame day lighted basement dwelling, within minutes of their arrival they reported that flames were shooting out of the roof of the structure. As more fire apparatus began arriving at the scene an aggressive interior attack was launched coupled with a search of the entire building for any possible victims. The fire, now venting through the roof, actually relieved the pent-up heat and toxic gasses that had been building up inside the house and made the conditions inside more tenable for the firefighters to get their work done. The fire, which had begun in the garage ceiling, had burned through the second story flooring, through the second story ceiling and was burning freely in the attic space, was then knocked down quickly by the firefighters. The search of the interior revealed that the house was vacant and appeared to be under-going a bit of remodeling, neighbors stated that the house had recently been used as a rental. One firefighter at the scene fell partway into a hole which had been burned through the floor in the main hallway of the house; he caught himself and with the help of his partner was able to extricate himself without sustaining any injury. No other firefighters reported any injuries during the operations being conducted at this fire. The damage to the house was considerable. The heat of the fire had caused the soldered copper pipe joints to separate in the lower level ceiling allowing water to flow into that level of the home for quite some time. The upper level of the home was damaged heavily by the heat of the fire and the roof structure may have to be totally replaced. A total of 28 firefighters, 7 pieces of fire apparatus, and 2 Command vehicles responded to this early morning fire and remained on scene for about 3 hours. The cause of the fire is under investigation by the Special Investigation Unit of the Spokane City Fire Dept. and preliminary indications are that the fire was accidental in nature. DAMAGE EXTENT: Fire, smoke, water, and heat damage was present on both floors of this house, in addition ceilings were pulled down and walls opened up to allow extinguishment of hot spots.